Utmost flexibility and performance – the brand-new SATO FX3-LX label printer is a champion when it comes to adaptability and functionality. The robust and portable device is suitable for a wide spectrum of applications in all sorts of industries. Its large 7-inch touch screen ensures intuitive and comfortable operation. Applications can be tailored to individual needs. The smart label printer can be connected to a PC or used as stand-alone device. By means of the internal product data base it is possible to calculate and print price and discount tags, product information including best-before dates, shelf labels, shipping labels or labels for raw materials or part marking etc. 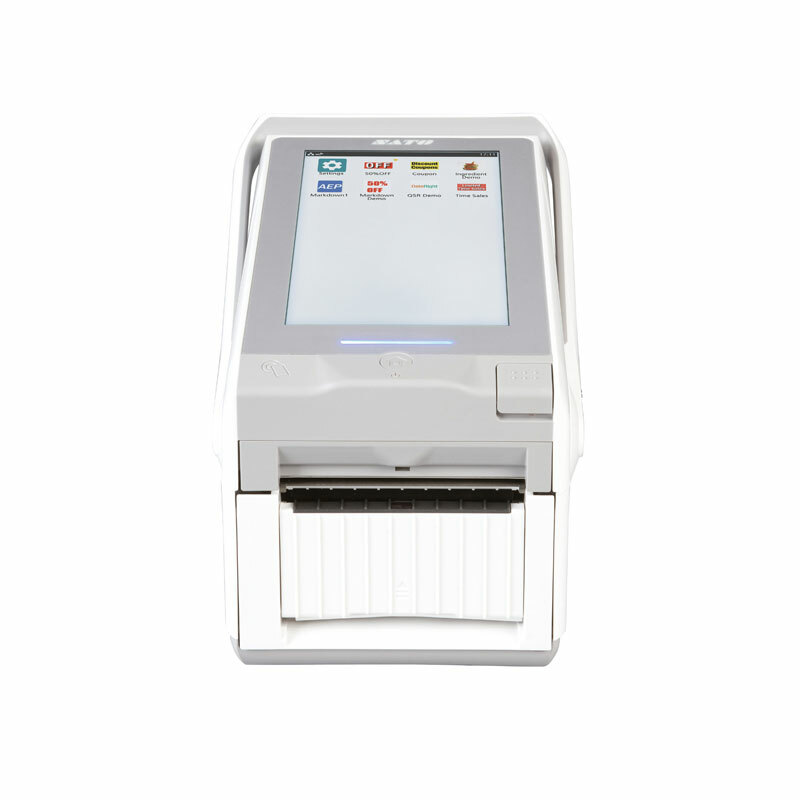 The SATO FX3-LX provides an extremely versatile label printing solution. The FX3-LX by SATO is a direct thermal label printer suited for all kinds of environments. 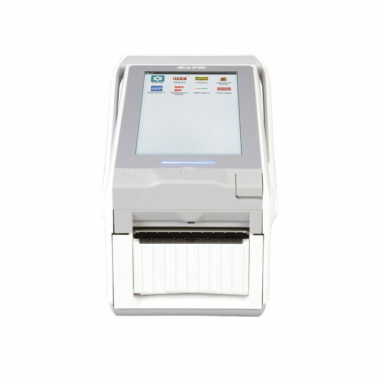 By means of Application Enabled Printing (AEP), the FX3-LX can be used without a PC as standalone device. Due to the 7-inch full-color screen, it is possible to operate the device intuitively. The display is glove-enabled. Applications can be customized to meet individual business requirements. With the SATO FX3-LX label printer, high-quality printing is guaranteed. A print resolution of 305 dpi ensures crisp contours, ideal for 1D and 2D barcode printing. Various media options are possible, such as continuous, die-cut or linerless rolls as well as fan-fold media. The maximum print speed is 6 ips if connected to AC power supply or 4 ips with battery. The compact label printer FX3-LX by SATO is particularly user-friendly. There are 14 preset video tutorials providing detailed information on device handling. The printer also includes SATO Online Services (SOS), a cloud-based support. The large display shows a preview of the created label before printing. Suitable for the use in hygiene-sensitive areas, such as food-related industries, the antibacterial housing of the FX3-LX label printer is easy to clean. The sturdy device is also water-resistant, complying with protection class IPx2 and it can withstand mechanical impacts in accordance with impact protection standard IK06. The FX3-LX printer comes with a non-slip footing to be safely placed on a desk or trolley. With the handle it is conveniently portable or it can also be mounted on a wall.